The world has seen strange and unusual things being put on auction in the past. A shirt worn by a famous singer, a rough and unfinished draft of a poem written by a well-known writer in the 18th century, a spaceship model, etc. And all these weird things were sold! How about you? I'm dying to know - how much would you be willing to fork out to own such items? Talking about strange and weird things on auction, I've listed 5 of the strangest and weirdest things that were ever auctioned below. What do Mark Twain, Jack Kerouac, Sid Vicious, Bob Marley, Bob Dylan, and Bette Davis have in Common? All of them, at one time, stayed at the fabled Chelsea Hotel in Manhattan, New York. Early this month, discarded items from the hotel are on display in an art gallery and are being sold by an auction house. The items are worn-out doors from the hotel rooms where dramatic or news-worthy events happened. Events such as Sid Vicious supposedly stabbing his girlfriend to death in 1978 in room 100 (but he died of a drug overdose before he could stand in court,) Mark Twain and Tom Wolfe making the hotel their home, Andy Warhol filming his first commercially successful movie "Chelsea Girls," and Jack Kerouac penning his beatnik novel, "On the road," which eventually became a Beat Generation bible. 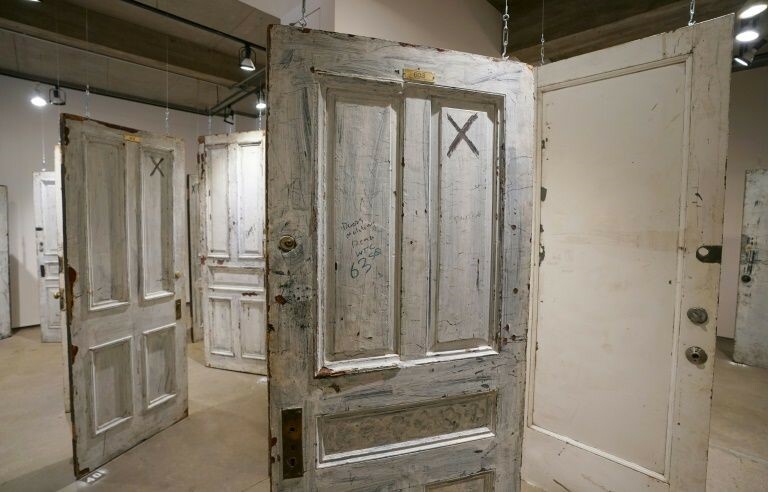 The doors to these famous and infamous rooms are now being auctioned, thanks to an enterprising former homeless man who lived in the hotel from 2002 to 2011. (He was evicted from the hotel when renovations started.) The massive renovations started in the summer of 2011 to give the hotel a facelift which, until now, is not yet completed. "I was shocked," Jim Georgiou narrated when he saw the doors in 2012 as they were chucked to the curb while the hotel's renovation was going on. According to him, if the doors could talk, they would tell eye-popping history. Georgiou, a few years after salvaging the doors and then transferring them to a friend's place gave Guernsey's a call. He chose the auction house to take advantage of its reputation of having outside-the-box sales. Auction fans are expecting the doors to fetch anywhere from $1,000 to $50,000 each. Half the net of the proceeds will go to City Harvest (well known to provide food for homeless and hungry New Yorkers) and the rest to Georgiou himself. 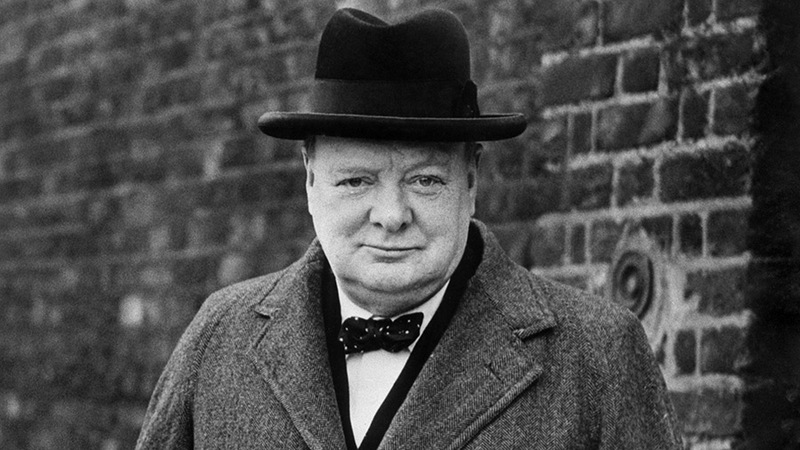 It's common knowledge that Winston Churchill had a speech impediment, but not everybody knows that he did not try to cover it up or overcome it. Actually, he maximized it after realizing that it was invaluable during World War II. To him, his impediment was a vital weapon for Britain in the war effort. During the war, when broadcasting outfits put his wartime radio messages on air, Churchill's voice was distinctive and was recognized by the listeners instantly. Due to this, he didn't want to cover up his speech impairment. In fact, he wanted his speech disorder to stay that way. That's the reason why he asked a dental technician to design his dentures in such a way that his lisp would be preserved. Quite odd, but I think it's a wise move as proven by its results. They were designed and made by a young dental technician named Derek Cudlipp. A set of the dentures has been kept by his family since Churchill's demise. However, it has been sold at auction for $15,200. During an interview, the dental technician's son Nigel Cudlipp mentioned that his father's work was so important to the World War II prime minister that Churchill would not let him join the army and fight. "When my father's call-up papers came, Churchill personally tore them up," Cudlipp said. According to the video interview of the dental technician's son, his father made 3 sets for Churchill because the British leader would often break them. "Churchill used to flick out his dentures when he was angry and throw them across the room," Mr. Cudlipp said. "My father used to say he could tell how the war was going by how far they flew," he added. So... a former world leader's dentures, anyone? A bandmaster's violin being played as the Titanic sank was sold for 900,000 pounds ($1.46 million) at an auction in 2013. That was a record price for memorabilia from the doomed ship. Wallace Hartley, the bandmaster of the vessel, played the musical instrument together with his band aiming to calm the passengers as the Titanic slipped into the frozen waters of the North Atlantic in 1912. The ship started sinking after hitting an iceberg. As the vessel sank, the band played the hymn "Nearer, My God, To Thee." This soothing music played on while passengers hurried and climbed into lifeboats. Hartley and his 7 bandmates perished after choosing to play on. More than 1,500 people died in the accident. According to the folklore that developed around the accident, more than 10 days after the disaster, Hartley's body was recovered. When found, the violin was inside a leather case and was strapped to him. It only took more than 10 days to recover the violin, but, it took more than 100 years to confirm that the instrument they found was actually the one owned by the band leader. Some people thought that the violin was lost in the Atlantic in the 1912 disaster. However, in 2006 the son of an amateur musician discovered it in an attic together with a silver plate displaying its provenance. After seven long years of testing, with tens of thousands of pounds poured out for the testing sessions, the water-stained violin has finally been proven to be the one played by the bandmaster. Would you believe? Scarlett Johansson tried to sell a used tissue online. Do you think she was successful doing it? Let's see. The particular tissue, strangely an insanely famous one, was used to blow her nose on the Tonight's Show back when American comedian Jay Leno was the host. Didn't believe it at first, but this notorious tissue has gathered more than 64 bids on eBay. Bids for a tissue with mucus? Fans could turn really weird concerning their screen idols, don't you think? For all you know, the owner could be keeping Johansson's used tissue in an air-conditioned closet just to preserve it! The latest report regarding the tissue says an anonymous bidder kicked out the rest of the competitors by dishing out a whopping $5,300 to get the honour of owning Scarlett's dirty tissue. Johansson jokingly told the show's audience that her snot had value for the simple reason that she got the cold from another actor-celebrity, Samuel L. Jackson, the Associated Press reported. All the proceeds from the sale will be sent to a hunger relief charity supported by the actress. The famous tissue comes in a bag with the actress' autograph. Would you like to treat your pet guinea pig like royalty? By that, I mean secure and protect it with an armor. Back in 2013, the blogosphere went insane! All because somebody put an elaborately designed guinea pig suit of armor on auction. During the time Huffington Post Weird News first heard about the sale, a measly $305 was the highest bid. However, when the bidding session closed, the highest bid was $24,300. It's hard to believe, but, in 10 days, forty-seven bidders made 156 bids. 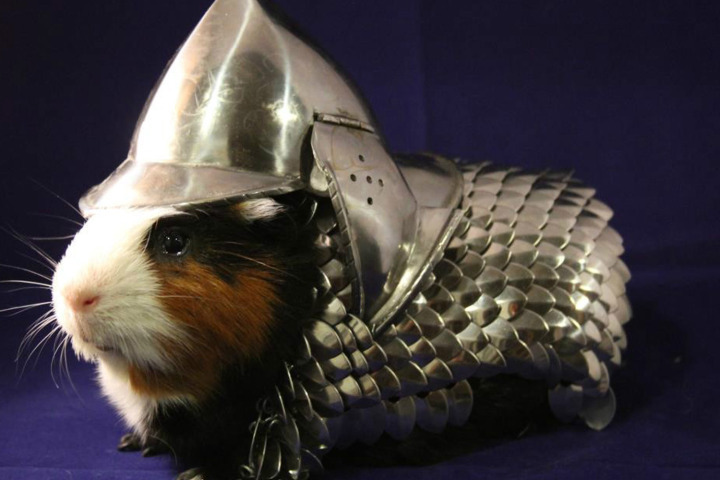 For an armor designed for a guinea pig - that's amazing. No one could really predict what people will buy on auctions. Based on the product's description, 100 percent of those profits will go to Metropolitan Guinea Pig Rescue, a non-profit organization based in Virginia that is dedicated to rescuing, rehabilitating, and finding new homes for unwanted guinea pigs. Praises to seller mightys0x. We absolutely did not expect this! UPDATE: According to the Metropolitan Guinea Pig Rescue's Facebook page, the winning bidder in the guinea pig suit of armor auction has backed out. The item has been relisted on eBay.